Note. This site will not display correctly in "Internet Explorer", please use another browser. Site Last Updated 15th. April 2019. If you wish to contact us please use the button below to send us an EMail. 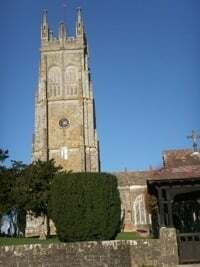 The object of this site is to present you with as much information as possible about the Parish of Chittlehampton. The site contains a brief history of the village, the local amenities, links to local businesses, a what's on guide and relevant reports on Parish Council Meetings. There is also a latest news section which includes up to the minute news, please visit this page. Thank you for visiting our Internet site. As a service to the community, we wish to give you the opportunity to stay in touch with what is going on in Chittlehampton and the surrounding area. The site will be updated on a regular basis so that you will always be kept as near as possible up to date. A Brief History Of Chittlehampton Parish. 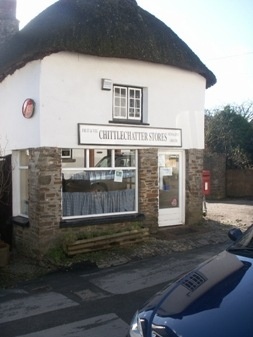 There has been a thriving settlement in Chittlehampton since circa. 700A.D. in Saxon times. The village is situated 5.5 miles West of South Molton and 6.5 miles South East of Barnstaple, the parish extending to approximately 13 square miles. The surrounding neighbourhood was ideal for farming and the village expanded as it became a centre for the area. The church and businesses grew as the neighbourhood needed support. Thus by the early 1900's, there were bakers, sweetshops, farriers, vehicle repairers and hardware sellers flourishing in the village. As Chittlehampton expanded the centre of the village became the square. 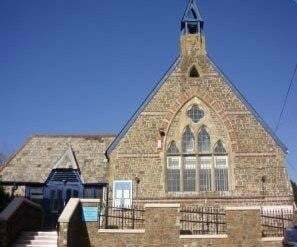 It was flanked on the northern side by the church and the school and homes and businesses around the other three. There were reputedly 8 ale houses within the village. Today the one public house, The Bell, (Link to website) remains and along the main street the village shop sells produce and is the local post office. 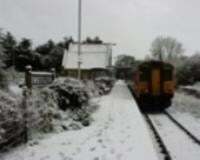 The weather has also played a part in the history of the village. The River Taw, which flows through Umberleigh, and is the South-Western border of the parish, has risen in the past causing flooding. In 1960 the properties bordering the river were beneath 28 inches of water. Later in 1968 the waters rose to within a few inches of that level. Although Devon is not generally known for it's snowfall, in 1978 there was a blizzard that filled the lanes with snow and there was no traffic movement of any kind. Many isolated hamlets were completely cut off. Sheep were lost and residents were reliant on stored resources. Severe weather has provided the villagers with an excuse to combine to raise funds for the benefit of the church. In 1987 high winds caused a pinnacle from the church tower to crash through the church roof and inbed itself within the nave. Similarly in 1988 two further pinnacles toppled and then 10 years later in 1998 the two previously badly repaired pinnacles toppled again. Each time the villagers rallied and raised the funds to repair the damage. The population of the village increased and in 1801 was recorded as 1640 but was 1342 in 1901. Today the population of the parish is approximately 800.